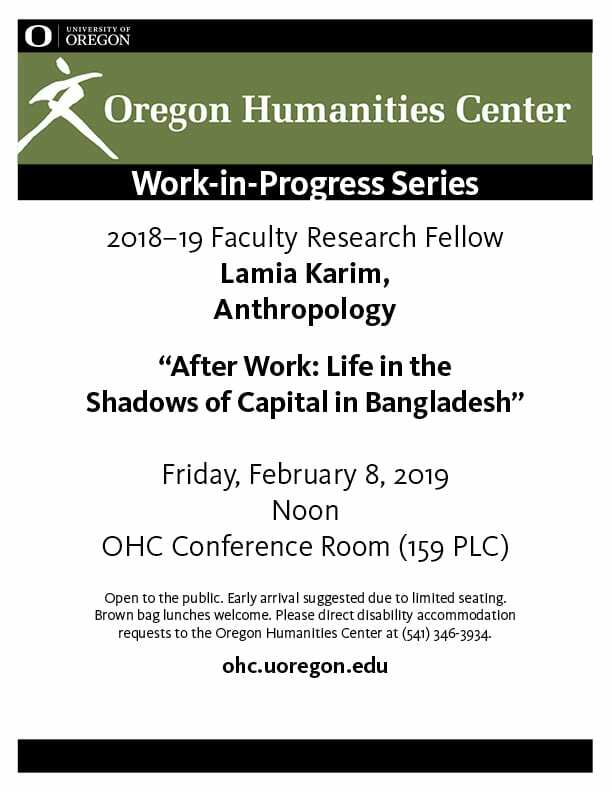 The Talk is part of the Oregon Humanities “Work-in-Progress” series. 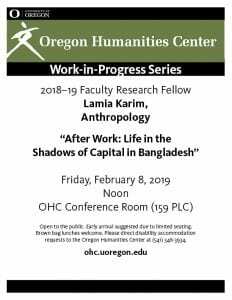 IT will be held in the OHC Conference Room (159 PLC) on Friday, Feb 8th 2019 and 12:00pm. This event is open to the public. There is limited seating so early arrival suggested.